In our respective positions with the Counselor, Social Worker and Marriage and Family Therapist Board for the state of Ohio, we have the unique opportunity to encounter many clinicians as they are starting their careers. (We use the term “clinician” to refer to the counselors, social workers and marriage and family therapists regulated by the Ohio Board who also provide direct services to clients.) This includes discussing the challenges and questions these new clinicians have as they embark on their career paths. One area in which newer clinicians often encounter difficulties is documentation. In our experience, issues with progress notes and other record-keeping concerns result in more complaints and employment issues for new licensees than most other possible violations. Proper documentation is critical for billing, quality control and transitioning clients to other providers, and when there are questions or concerns about a licensee. Case notes can form an integral part of a licensee’s defense if a concern or complaint is filed against the licensee. In many settings, from community mental health to school-based settings, productivity demands can compound issues with record-keeping. Agencies must produce billable hours, and these demands fall upon clinicians. New clinicians are particularly susceptible to the pressures of productivity requirements. Our conversations with licensees suggest that productivity demands are occasionally a focus of training and education but that some of these associated skills, such as how to engage clients to show up for appointments, are generally learned on the job. Understanding how important it is to meet client needs and agency goals and yet still remain ethical in record-keeping practices is critical for beginning licensees. Newly licensed clinicians may find themselves unable to keep up with these demands. This is where seeking proper supervision and practicing effective communication are key to the success of new clinicians. Another important area concerns appropriate termination. We are now in an era when employees start and leave jobs more frequently than in the past. The world of mental health counseling is no different. For instance, better opportunities may emerge that licensees would like to pursue. New clinicians may wish to leave a job when they find the position is not satisfying or isn’t a good fit for them. Unfortunately, licensees cannot simply walk out. No matter the reason, leaving a job must be done according to jurisdiction rules and agency/practice policies. New licensees should prepare to leave by reviewing termination requirements, offering written notice, ensuring that client documentation is complete and up to date, and helping to refer and transition clients. The impact of mentors and supervisors on new licensees should not be understated. However, although these relationships are important for professional development, too often newer clinicians rely on others for answers without first doing their own research. New licensees need to develop their skills in reading and interpreting the laws, regulations and codes of conduct governing their profession. Although we coach licensees to rely on supervision, we realize that not every professional keeps up with developments in the field. Use good judgment when relying upon others to guide your career. New licensees often confuse work supervision, or clinical supervision, with training supervision. 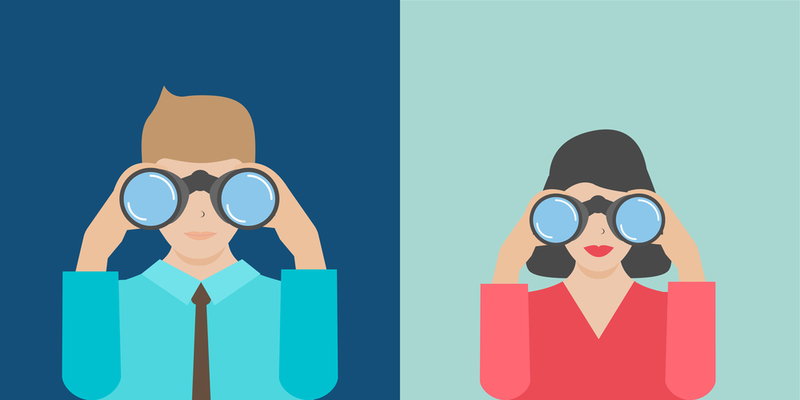 Recognizing the difference between these two types of supervision is key to the success of new professionals. Having a supervisor to whom you report, and who is responsible for signing off on diagnoses and treatment records, is not the same as training supervision, which is supervision that is intentionally provided to develop the professional’s skills for possible independent licensure. Unfortunately, we encounter situations in which new clinicians mistake the work meetings they attend with training supervision that would qualify their hours toward independent licensure. Many newer clinicians are savvy in their use of social media and technology. Their facility with these tools has both upsides and downsides. Make sure that you limit any personal accounts with privacy settings to protect yourself, and of course do not perpetuate multiple relationships by adding clients to your online accounts such as Facebook. Other tools such as texting can also be an issue. Be sure to limit texting and email to confirming appointments and similar administrative tasks, unless those tools are a planned part of therapy, for which proper notice is provided. The last observation applies to everyone: A little humility goes a long way. The passion and excitement of starting a career can overwhelm good judgement or give one more confidence than is warranted. Use that passion and energy to serve clients well, while at the same time investing in growing your knowledge and understanding of the field. 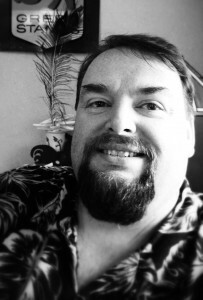 Brian Carnahan is executive director of the Ohio Counselor, Social Worker and Marriage and Family Therapist Board. Contact him at brian.carnahan@cswb.ohio.gov. Tracey Hosom is an Investigator with the Ohio Counselor, Social Worker and Marriage and Family Therapist Board. Contact Tracey at tracey.hosom@cswb.ohio.gov. 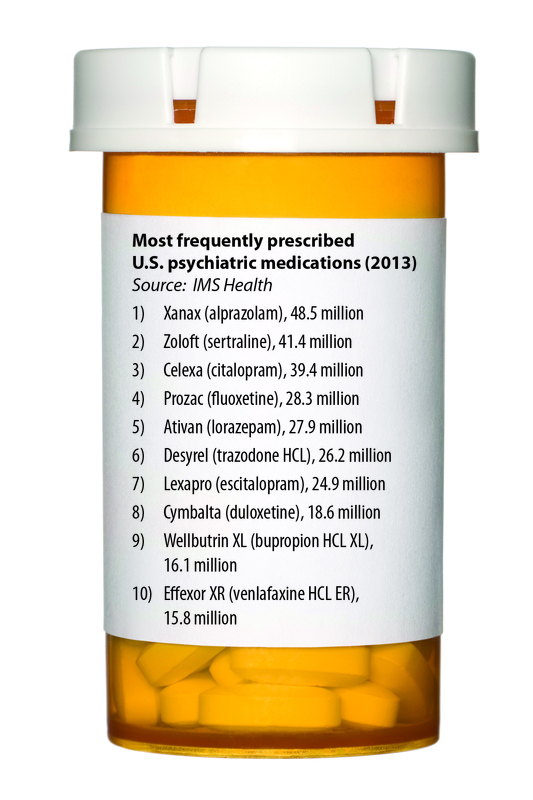 Because primary care physicians write almost 70 percent of antidepressant prescriptions, counselors may find that new counseling clients who are on medication have yet to have an extended conversation about medication management and their overall mental health. These clients may not have given much consideration to how long they want to stay on medication, or they may be uninformed about the possible risk of growing dependent on sedatives, anxiolytics and other medications. Several counselor educators are taking up the charge of encouraging more informed and comfortable conversations in the counseling room about client medications. American Counseling Association member Dixie Meyer presented with colleagues at the association’s 2016 conference in Montréal on adjunctive antidepressant pharmacotherapy in counseling. Meyer dedicated her dissertation research to the sexual side effects of antidepressants and their effects on romantic couples. As her research expanded, she grew more and more fascinated with exploring the relationship between psychopharmacology and counseling. Meyer explains that counselors may have a greater understanding of the impetus for the client’s condition, the specific symptoms the client has experienced, which of a medication’s potential side effects might be more of a challenge for the client and what additional resources the client may need to maintain medication adherence. 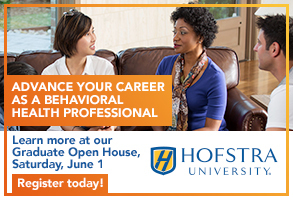 Professional counselors carry their own biases and values related to psychiatric medications, often based on their individual experiences and training. It is easy to see how the counseling profession as a whole might feel threatened by the statistics, however. For example, nearly $5 billion is spent every year on TV ads for prescription drugs. Then there is the fact that more than half of all outpatient mental health visits involve medication only and no psychotherapy. Najera has heard skeptical counselors make many statements about psychopharmacology, including that such medications turn people into “zombies,” alter their personalities or simply produce placebo responses. As a master’s counseling student, she also heard many comments from fellow students about their negative relationship with medication or their family members’ negative experiences. Although there is still no clear winner in the medication versus therapy debate, researchers are learning more about who might respond to one treatment better than the other. For example, a 2013 study in JAMA Psychiatry found that patients with major depression with low activity in a part of the brain known as the anterior insula responded well to cognitive behavior therapy and poorly to Lexapro. Those patients with high activity in the same region did better with medication and poorly with the therapy. Researchers have also concluded that patients who are depressed and have a history of childhood trauma do better with combined therapy and medication than with either treatment alone. Erika Cameron, an associate professor of counseling at the University of San Diego and an ACA member, presented with Meyer in Montréal. When they were enrolled in the same doctoral program, Cameron found herself sharing Meyer’s interest in psychopharmacology and considering how she could respond to the general wariness of school counselors around the topic of medication. Another common trepidation among counselors is the fear of stepping outside their lane when it comes to talking about psychiatric medication. Clients often ask for advice about certain medications or when starting any type of drug, but there is a temptation among some counselors to avoid the subject or simply to refer all questions in that vein to a psychiatrist or doctor. How exactly should counselors respond when clients want to talk about psychiatric medications? 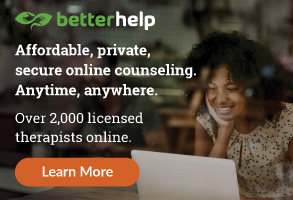 In an effort to provide effective psychoeducation, Meyer says, counselors shouldn’t be shy about asking thorough questions upfront concerning clients’ beliefs and ideas related to medication. She suggests asking questions such as, “How do you know that you want to be on a medication?” and “Are you likely to have another depressive episode?” Questions such as these can provide valuable insight into the client’s knowledge (and knowledge deficits) about medication. For example, a client who wants to take an antidepressant might not realize that half of all individuals with depression will not experience another episode. Hudspeth suggests that counselors do a medication check-in with clients at every session. He says the best question counselors can ask clients who are already on medication is, “How is your medication treating you?” This kind of general question can help counselors gather information without overeducating clients in a way that predisposes them to having side effects, Hudspeth explains. Cameron agrees that the simplest approach is often the most empowering for clients. “Sometimes [it’s simply] asking, ‘Did you read the really long paper that came in the bag with your pills? What is the medication really treating? What are its side effects? What would be considered not normal for you?’ [It’s] educating clients to be critical consumers of their medication,” she says. Cameron also encourages counselors to role-play conversations that clients could have with their prescribing doctors. Counselors can assist their clients with compiling a list of questions to ask and also encourage them to track their symptoms, thoughts and feelings while on a particular medication. Data can be a powerful tool for holding doctors accountable for connecting clients with the best medication options, but sometimes clients need to learn what to observe while on their medications, Cameron says. Counselors may also need to have conversations with clients about the impact that their physical health can have on their mental status. Meyer encourages counselors to take time to consider how nutrition, physical illnesses, medications and other substances could potentially influence the mental health of their clients. Anything from high blood pressure medication to birth control pills to low iron could be a culprit, and Meyer worries that individuals who don’t provide their doctors with detailed information about their health are at risk of being prescribed medications that don’t fit their particular symptoms. “If a client has not had a physical in a long time, then you do not know if there are cardiovascular concerns, hormonal concerns, cancer symptoms or one of the many other disorders that can have depressive side effects or present as depression,” Meyer points out. Counselors are also charged to have open and honest conversations with parents who are worried about putting their children on psychiatric medications. When Hudspeth worked as a pharmacist in the early 1990s, he began noticing that many children were being medicated without solid reasoning to back it up. 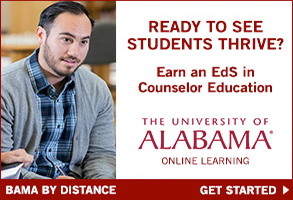 Thinking there might be a better approach, he went back to school to become a counselor and later a counselor educator. In his counseling work with children, he has fielded many questions from parents about whether their child should be evaluated for the need to take psychiatric medication. A 2015 article in the Journal of Creativity in Mental Health by Cassandra A. Storlie and others explored the practice of infusing ethical considerations into a psychopharmacology course for future counselors. The authors argue that counselor educators should engage students in talking about how their own values and perceptions about medication use could potentially affect the quality of counseling service they provide. The authors tracked the success of one psychopharmacology course that asked students to complete a variety of creative assignments, including reporting on a legal or ethical issue in the field of psychopharmacology, interviewing an individual who takes a psychotropic medication and discussing fictional client scenarios. At the end of the course, students reported greater confidence in how they understood their role related to discussing medication with clients. 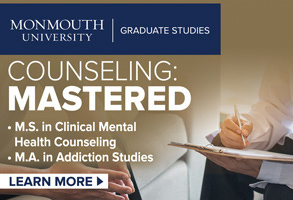 Cameron agrees with the benefits of offering a psychopharmacology course to counseling students. She also sees value in inserting medication conversations into her supervision work with students. When her students bring in case conceptualizations during their internship work, she asks them to list what medications the client is taking. She then asks them to educate their peers about what each medication is treating, what the dosage is and any typical side effects. Of course the work of medication education doesn’t end with graduate school. 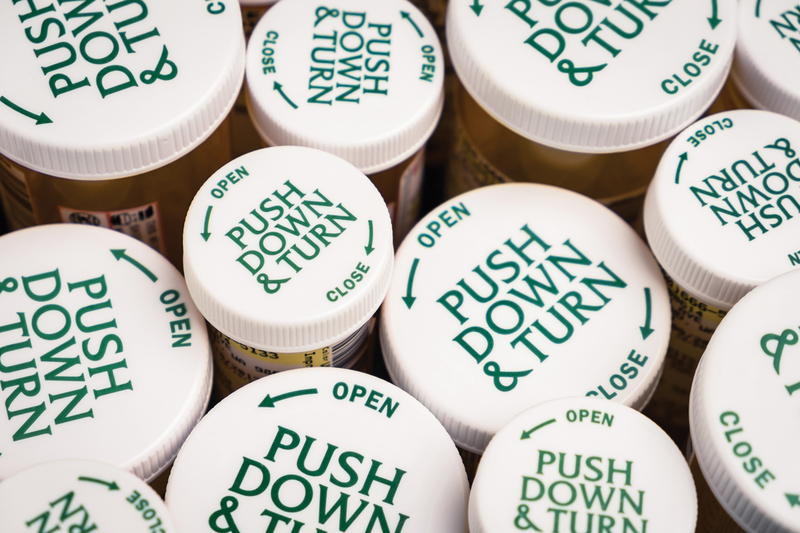 New medications are steadily being introduced, and over time researchers will learn more about the long-term effects of popular ones. Cameron recommends that counselors keep a copy of the Physicians’ Desk Reference, a compilation of information on prescription drugs, in their office. “They update it pretty regularly, so when you have clients come in, you can open the book and figure out what’s going on,” she says. Sept. 11, Hurricane Katrina, Virginia Tech, Newtown, Superstorm Sandy, Pulse nightclub … It is only a partial list, but this roll call of places and events seared into public memory makes it obvious: The 21st century has provided counselors with many unfortunate opportunities to exercise disaster mental health counseling skills. Post-9/11, the practice of disaster mental health has been shifting and evolving as practitioners have continued to gain a better understanding of how people recover from traumatic events. Disasters, whether natural or human-caused, can be life-altering and psychologically scarring, but counselors and other experts say that most survivors will recover without major psychological trauma. And it is now widely recognized that in most cases, brief targeted treatments work better with survivors of disasters than does extended therapy. Historically, counselors would show up in the wake of a disaster and engage in talk therapy, says Gerard Lawson, president of the American Counseling Association. Today there is an understanding that the immediate aftermath of a disaster is not the time to engage people in traditional psychotherapy. Survivors need something much more immediate — psychological first aid, which Lawson describes as a kind of mental health version of medical first aid. Responders try to “stop the bleeding” in a sense by treating survivors’ immediate stress and assessing who might be a threat to themselves or others, he says. “One of the foundations of psychological first aid is that we assume not everybody [who experiences a disaster] is going to develop severe mental health problems,” Lawson says. 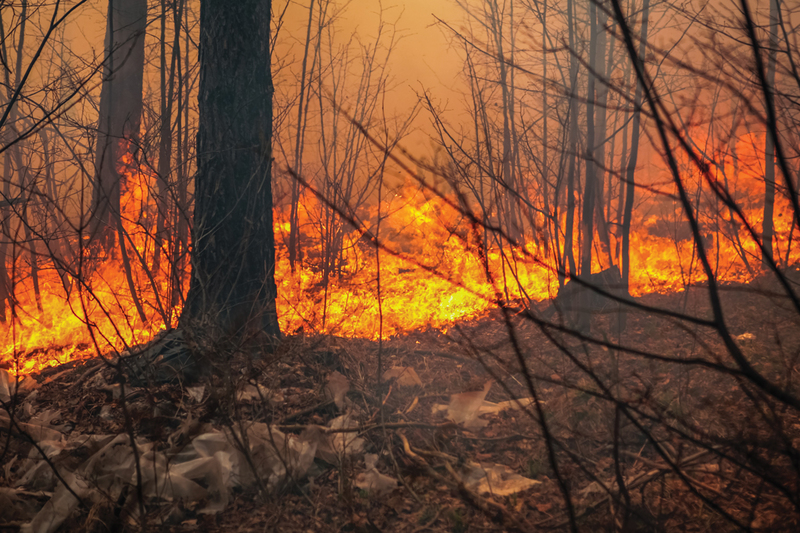 He notes that research has shown that a fairly low percentage of disaster survivors — approximately 10 percent — will go on to develop posttraumatic stress disorder. Although in a different context the psychological distress that many survivors experience might seem indicative of mental health problems, in the wake of a disaster, this emotional (and sometimes physical) dysregulation is normal, he explains. In fact, says Mascari, who is certified in New Jersey in disaster response crisis counseling, the practices used in the past — engaging in talk therapy and focusing on the details of the disaster — can cause survivors to “relive” the event, which can be retraumatizing. Indeed, the help that survivors need most is often practical as much as psychological, notes Laura Shannonhouse, an ACA member and a licensed professional counselor who has worked with survivors of multiple disasters. She says that psychological first aid is designed to provide information, comfort and practical support, all tailored to the individual needs of each survivor in a structured manner. 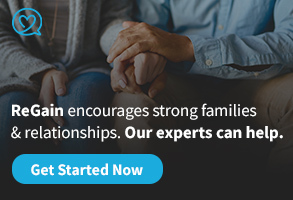 This support consists of eight core actions: contact and engage, provide safety and comfort, stabilize, gather information, offer practical assistance, connect individuals to social supports, give coping information and provide links to needed services, says Shannonhouse, an assistant professor in the clinical mental health school and the counselor education and practice doctoral programs at Georgia State University. Counselors should keep all of this in mind when engaging with survivors, says Lawson, whose areas of expertise include disaster mental health and response and resilience. He explains that after introducing themselves to and establishing a basic rapport with survivors, counselors should assess for safety and comfort. For instance, if the person is having a panic attack or hyperventilating, the goal is to try to stabilize them, he says. Counselors should then gather information about survivors’ needs and concerns, such as whether they know the location of their loved ones, have a place to stay and have or know where to get items such as clothing and other supplies. Helping survivors identify resources to meet their needs can help them feel more in charge, Lawson notes. Counselors also play a very important role in normalizing what survivors are feeling and how they are reacting to tragedy, Lawson points out. “We want to help them feel competence so they are not waiting for someone to come in and rescue them. We want to move them toward being in charge of what comes next,” says Lawson, who previously chaired an ACA Task Force on Crisis Response Planning. It is also crucial to get survivors reconnected with social supports such as family members, friends, their spiritual communities and the community in general, Lawson says. These natural support networks are particularly important to the long-term well-being of those who experience disasters, he adds. “As helpful as it is to have counselors there, they are ultimately going to go away,” Lawson points out. “For survivors, acting on and celebrating interdependence on others can ease feelings of loneliness and isolation,” continues Captari, who is earning her doctorate in counseling psychology at the University of North Texas, where she works in the Family Attachment Lab studying the role that spirituality and attachment play in facilitating posttraumatic growth and resilience. When survivors of disasters come together to support one another, in many cases they gain not only practical assistance and the comfort of being with people who understand what they have endured, but also a variety of emotional benefits, Captari says. She notes that research has associated altruism with increased gratitude and well-being among those who practice it. Lawson adds that signs such as hypervigilance and difficulty sleeping can indicate trouble if they are present for weeks or months at a time. The Humanitarian Disaster Institute at Wheaton College in Illinois is a research center that studies the role that faith plays in helping people cope with disasters. Shannonhouse is a fellow at the institute, where she is part of a team that is developing a program of spiritual first aid. Captari is also working with Shannonhouse and others at the Humanitarian Disaster Institute to develop general spiritual first aid practices. “In working with professionals of diverse cultural backgrounds, I have learned so much about resilience in the wake of systemic trauma … and have seen, time and again, that for many individuals, their personal faith and spiritual community buffer against negative psychological outcomes,” Captari says. Captari points out that multiple studies have indicated that the majority of Americans (an estimated 89 percent, according to the Pew Research Center) express a belief in God or some other higher power. In part for this reason, Captari contends that counselors have an obligation to understand and integrate survivors’ cultural, religious and spiritual values into treatment. Shannonhouse, who also works at Georgia State University’s Center for the Study of Stress, Trauma and Resilience, notes that although spiritual beliefs can be a source of strength for survivors, disasters can also cause feelings of spiritual distress, such as feeling abandoned or punished by God. These feelings can lead to a loss of hope. Spiritual first aid is intended to help promote positive spiritual coping, Shannonhouse says. Some of the aspects of spiritual first aid are based on general coping behaviors, such as practicing self-care and understanding common stress reactions. In addition, spiritual first aid involves working with survivors to help them identify what rituals or beliefs connected to their religious or spiritual traditions might bring them comfort. Disaster mental health workers then encourage survivors to turn to these practices as a way of coping, Shannonhouse explains. S.O.U.L.S. and C.H.A.T. will be featured in a spiritual first aid manual currently being written by Shannonhouse, Jamie Aten (founder and director of the Humanitarian Disaster Institute) and Don Davis, an assistant professor at Georgia State. Both Shannonhouse and Captari caution that no one-size-fits-all approach exists for spiritual first aid. Like any counseling method, it must be practiced with cultural humility. Says Shannonhouse, “Counselors don’t need to identify as religious or spiritual themselves in order to utilize the assessment [S.O.U.L.S.] and intervention [C.H.A.T.] strategies included in SFA. Nor do they need to be well-versed in the survivor’s faith tradition or spiritual beliefs. An attitude of humility, curiosity, empathy and acceptance is what is important, rather than coming in as the mental health expert who has all the answers. Spiritual first aid isn’t just for counselors or other mental health professionals. Clergy and other professionals and volunteers such as emergency management professionals, humanitarian aid workers, first responders, and health and public health professionals may also find it helpful, Shannonhouse notes. Helping people with the immediate negative aftermath of a disaster is important, but it is also crucial to note survivors’ capacity for resilience and growth, say Lawson and Mascari. Survivors of disasters often emerge with a new appreciation for life, value their relationships in a new way, feel a new sense of community or are strengthened spiritually, Lawson explains. In some instances, survivors even experience a renewed sense of power and purpose that they devote to a cause related to the disaster. Counselors can help encourage posttraumatic growth by assisting clients with the meaning-making process, say Shannonhouse and Captari. “Invite them to view their present adversity from a transcendent perspective,” Captari suggests. “Ask them to think about how their life is part of something bigger.” Counselors can also help survivors create a “spiritual life map” or history to rediscover insights, strengths and resources that they have gained from their beliefs over the life span. When people experience posttraumatic growth, it can allow them to say, “I’m not a victim. I didn’t just survive, I thrived,” Lawson concludes. Includes information on the U.S. Substance Abuse and Mental Health Services Administration’s Disaster Distress Helpline and 15 fact sheets compiled by the ACA Traumatology Interest Network covering topics such as one-to-one crisis counseling, disaster and trauma responses of children and parents, helping survivors with stress management skills, grief reactions over the life span and intrusive memories. Nonprofit News: Would the Founding Fathers have supported nonprofits and nationalized health care? I’ve heard a lot about the Founding Fathers the past few years, and given that we celebrate American independence in July, I thought it would be fitting to explore what they might have thought about this work of ours as counselors working in the nonprofit space. There are many theories about what our Founding Fathers would say or do nowadays. Some of these theories are fascinating, while others appear to be little more than fiction, but at least they appear to attempt to look back at our nation’s founding to find guidance for our present and future. I don’t claim to know what the founders wanted, especially as it relates to mental health care, which was poorly understood at the time. In fact, if poor mental health resulted in someone straying a little too far from the societal norms of the day, that person ran the risk of being accused of demonic possession. I mean, physical health care at the time promoted bloodletting and the use of leeches (which have seen a limited return in recent years), so in many ways, our Founding Fathers were living in primitive times. Still, they set about developing a living, breathing set of documents that they hoped would transcend time and grow with the needs of those they served. One of the key phrases in the Declaration of Independence calls for the right to life, liberty and the pursuit of happiness. Could it not be argued then that the Founding Fathers would support any enterprise, public or private, that seeks to help ensure everyone’s right to a quality life and the ability to live freely and happily (so long as it does not legitimately impinge on another’s right)? Would health care not be a vital part of a right to life and liberty? Think about this for a minute. If one has a right to life, one surely must have a right to health because, without health, life cannot sustain itself for long, not while also including liberty. One cannot be at liberty if he or she is needlessly allowed to become and remain infirm until death. If we have a right to life, is that right confined only to those who possess an endless ability to pay for it? Should it be? As of 2009, 58 countries had some sort of national health care system in place, meaning that all of their citizens had access to health care regardless of income, status and so on. As wise as the Founding Fathers were, surely they would welcome such an endeavor, right? This conclusion can of course be argued. In fact, unless we have some kind of message from at least one of the Founding Fathers related to this, it remains little more than conjecture. Thankfully, with just a small bit of research, I found several such messages. Although other founders may have spoken along the same lines, I decided to end my search after the first three attempts proved fruitful. 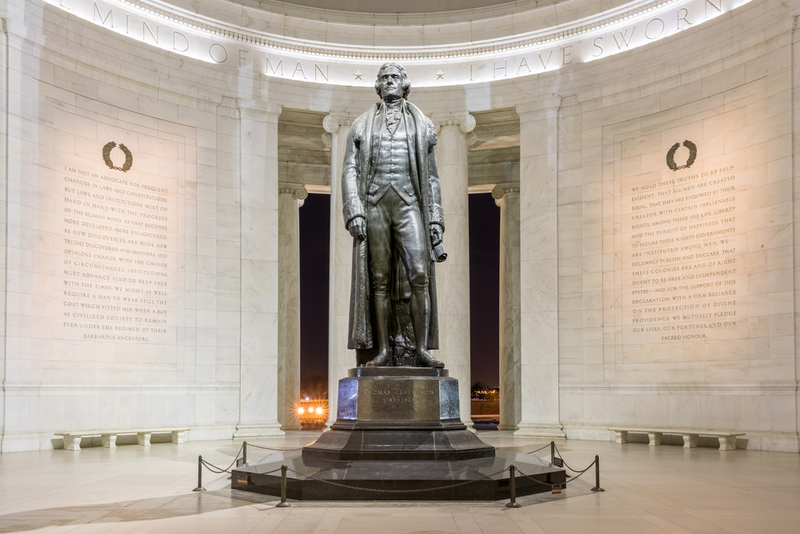 Thomas Jefferson dedicated at least part of his life to the improvement of health care. From 1784-1789, he worked on a committee to reform the public health care system in Paris. He was also a friend of the Marquis de Condorcet, who among other things proposed national health care. This in and of itself looks promising in the support of publically supported systems, although I could not find anything where Jefferson actually supported such a system in America (honestly, I spent very little time trying, however). Thomas Paine, the author of Common Sense, was an inspirational figure in the United States’ move for independence from Britain. In another of his works titled Agrarian Justice, he wrote about what could be termed social security or a safety net. He proposed that men, starting at age 21, should be given 15 pounds sterling, whereas any man 50 or older would be given 10 pounds yearly. This would be paid for by what essentially would be a tax on land. This money would go to qualified individuals, regardless of income or health. He stated that he felt it was a right, not a charity. Here we have one of the most influential figures in the founding of America talking about the need for a shared system of support for all male citizens. (In Paine’s time, women were seen as needing the support of men in order to live. Support to men would also support their families. Thankfully, we have progressed). This money was to go to support the needs of the man as he saw fit. It’s reasonable to assume that this would include such things as food, shelter, clothing and health care. Adams called for government to be concerned with all men of any class and for the need to alter or reform laws when required. As time moves forward, needs and priorities change. Hopefully, with these changes come increased insight and understanding. For instance, as we discovered the cause of certain illnesses, we started to learn how to treat them. Prevention and treatment went hand in hand in many ways. Soon a new school of thought emerged and with it, the modern idea of medicine (including mental health care). Because of the space constraints of this column, I did not delve into other Founding Fathers, but I hope that someone else does and adds to this discussion. 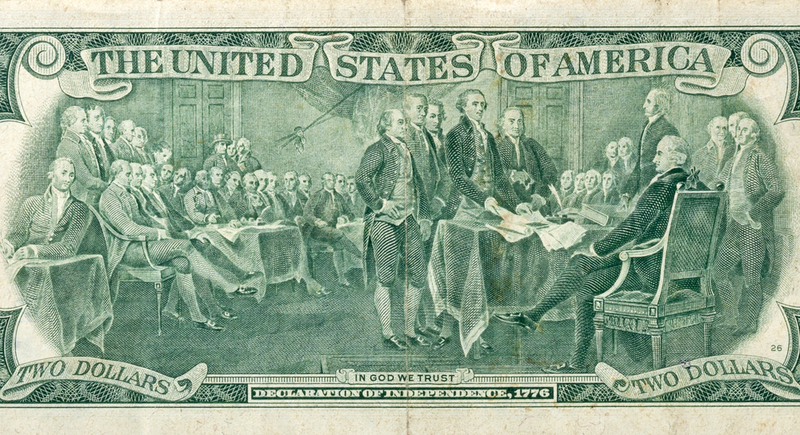 Based solely on my reading of the Declaration of Independence and other related documents, my bet is that the Founding Fathers would have supported the notion that this country was set up to be a commonwealth — one that shares its good fortune and prosperity with all within its borders — because they seemed to understand fully that the longevity of any endeavor is dependent on investment in its infrastructure. Nonprofits: Real people, real change. The Thomas Jefferson Memorial in Washington D.C.
A bill that would allow professional counselors to be reimbursed for the treatment of clients under Medicare has been introduced in the House of Representatives, and more than 100 counseling professionals added to its momentum by advocating in person on Capitol Hill earlier this week in an event organized by the American Counseling Association (ACA). Currently, Medicare does not reimburse licensed professional counselors (LPCs) for the treatment they provide for older adults who carry this federal insurance coverage. However, ACA is advocating for a bill that would add LPCs to the list of providers who can be reimbursed under Medicare – a list that already includes clinical social workers and marriage and family therapists. H.R. 3032 was introduced last month by Rep. John Katko (R-N.Y.) in the House of Representatives, and a companion Senate bill is expected to be introduced shortly by Sen. John Barrasso (R-Wyo.) and co-sponsored by Sen. Debbie Stabenow (D-Mich.). H.R. 3032 currently has three co-sponsors: Reps. Mike Thompson (D-Calif.), Elise Stefanik (R-N.Y.) and Zoe Lofgren (D-Calif.). If passed, the measure would add an estimated 165,000 mental health providers to the Medicare network, providing much-needed access to care for older adults in the United States. 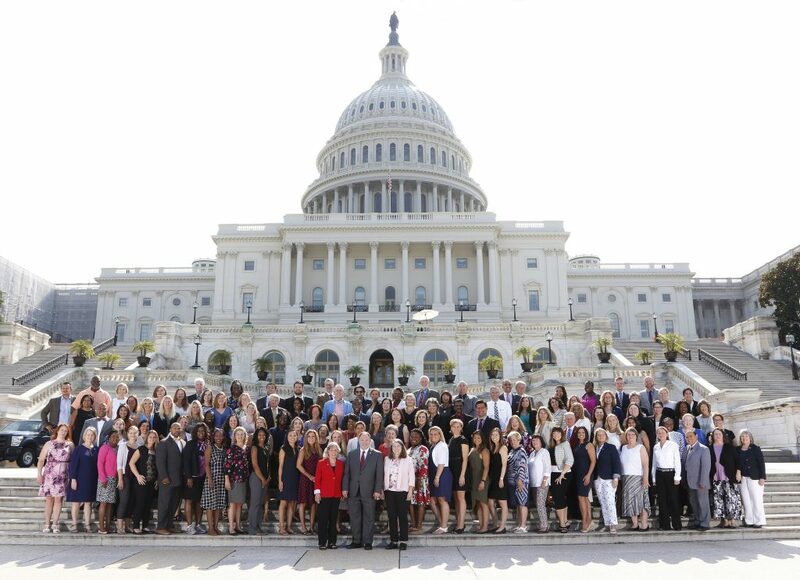 On July 18, 125 ACA members from across the United States visited the Capitol Hill offices of their senators and House representatives to ask for support for the Medicare bill. The counselors were gathered in Washington, D.C., for ACA’s annual Institute for Leadership Training (ILT), a four-day conference of education sessions, trainings and business meetings for leaders in the counseling profession. 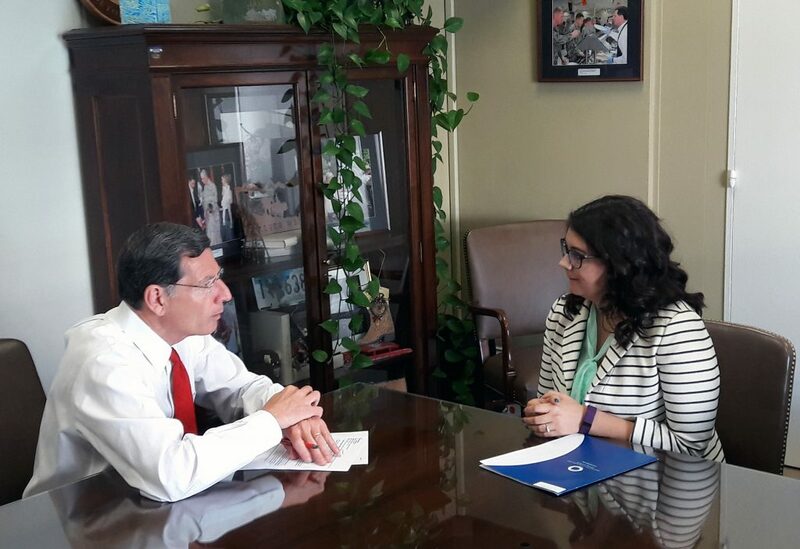 Amanda DeDiego, an ACA member from Casper, Wyoming, met with Sen. Barrasso to thank him for his upcoming sponsorship of the Medicare bill. 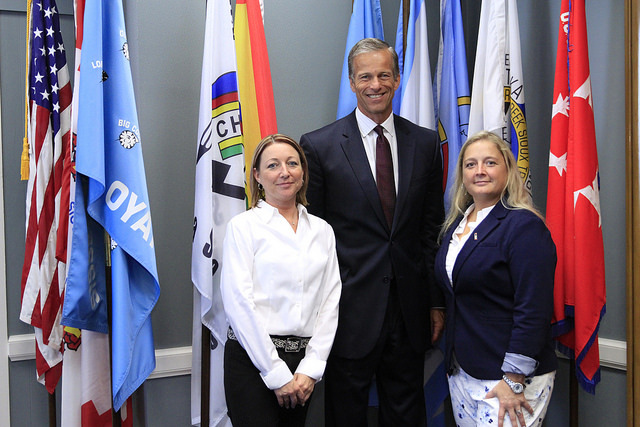 Barrasso expressed his support for the issue, saying “the needs are great” in Wyoming. For example, the average life expectancy on Native American reservations is 47 years – decades below that of Wyoming’s general population – and issues related to mental health are part of the cause, Barrasso said. 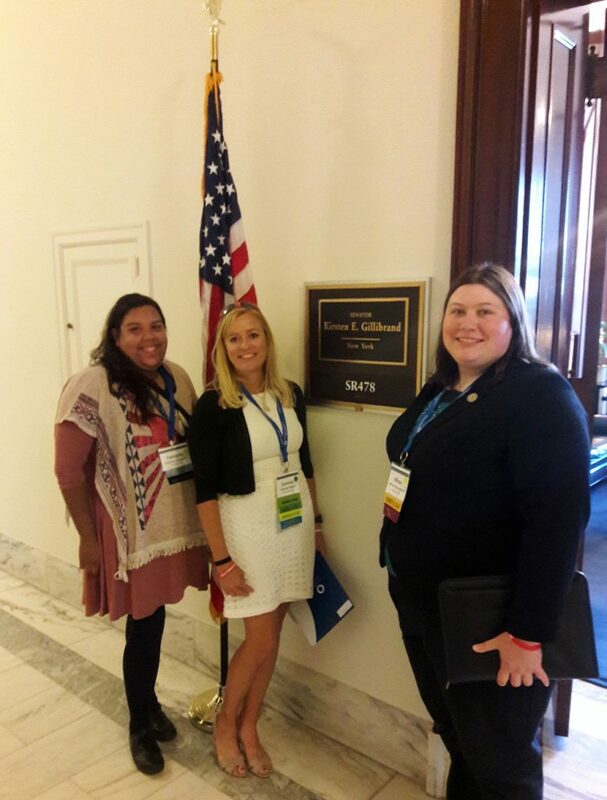 A delegation from the American Counseling Association of New York (ACA-NY) met with staff in the office of Sen. Kirsten Gillibrand (D-N.Y.) to ask for co-sponsorship of the bill that Barrasso soon will introduce in the Senate. ACA-NY leaders Summer Reiner, Allison Parry-Gurak and Tiphanie Gonzalez (ACA-NY president) explained that LPCs have training and graduate coursework that is equal to or exceeding that of the social workers and other mental health practitioners currently covered under Medicare. In the rural parts of New York, a dearth of mental health providers already exists, and that number shrinks further for people who rely on Medicare coverage for treatment, Reiner explained. “We’re very much cousins in the exact same family, with different specialties,” agreed Gonzalez, an assistant professor at SUNY Oswego. 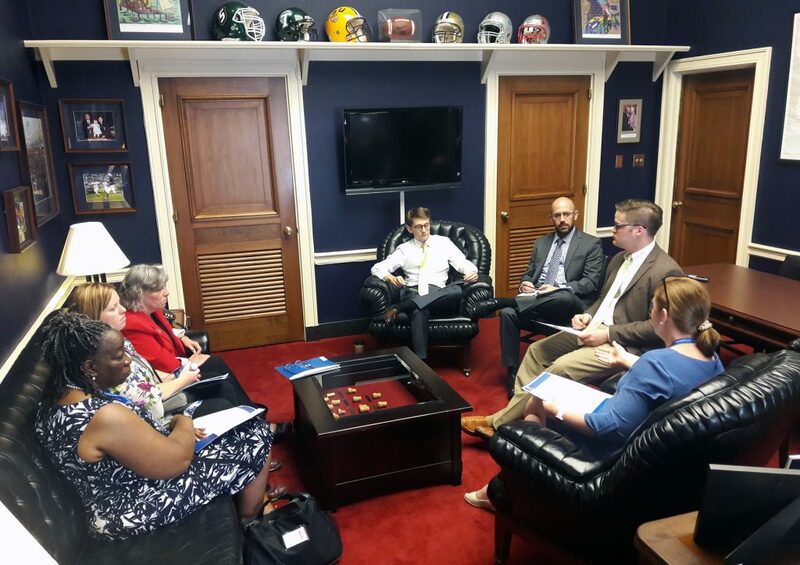 ACA members who visited legislative offices on July 18 also advocated for full funding of the Title Four block grant as part of the Every Student Succeeds Act (ESSA). The grants, some of which goes to support school counseling programs, were funded at $400 million, or just 25 percent of the $1.6 billion that was authorized this year. President Trump’s proposed budget for 2018 recommends no funding for the block grant at all. Terrazas, in a training session held prior to the Day on the Hill event, urged the assembled ACA leaders to follow up with their legislators, stay informed and continue pushing for issues that are vital to the counseling profession. “Advocacy doesn’t start and end with just this day [on Capitol Hill] tomorrow; it is year-round,” said Terrazas. 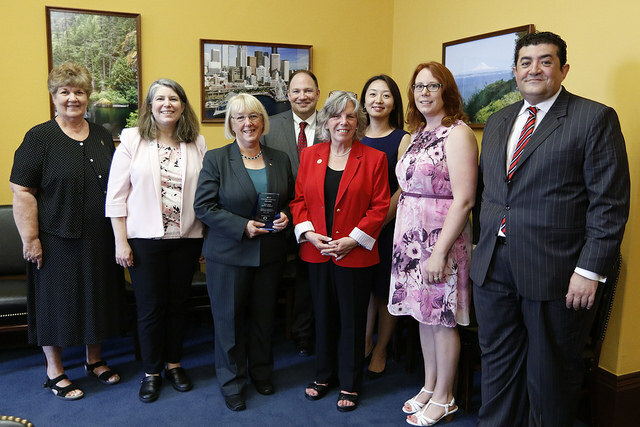 ACA has recognized Rep. Ted Lieu (D-Calif.) and Sen. Patty Murray (D-Wash.) with an Illumination Award for their work against harmful conversion therapy. Lieu and Murray have introduced bills in the House and Senate, respectively, that would classify commercial conversion therapy and advertising that claims to change sexual orientation and gender identity as fraud. An ACA delegation met Murray on July 18 to recognize her on Capitol Hill; Lieu was previously honored at last month’s Illuminate symposium, a three-day conference in Washington, D.C., focused on the intersection of counseling and lesbian, gay, bisexual, transgender, questioning or queer (LGBTQ) issues.